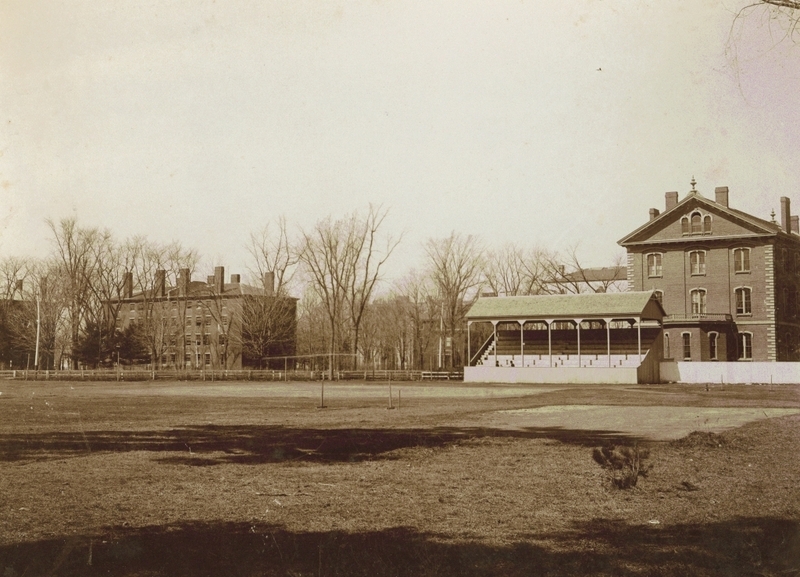 The delta was the name for the playing field next to Adams Hall (far right). Sills Hall was built on this space in 1950. Buildings (l. to r.) Maine Hall, Winthrop Hall, Massachusetts Hall, grandstand, Memorial Hall (behind grandstand), Adams Hall.